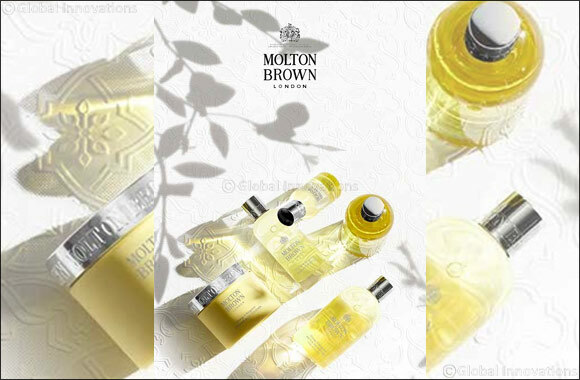 Dubai, UAE, April 18, 2018: Molton Brown, London’s fragrance experts, celebrate their iconic fragrance, range & Bergamot with a refreshingly modernised eau de toilette and divinely decadent new body luxuries. Created as one of Britain’s first high-end fine liquid hand washes, the brand’s original collection was chosen for the guest suites of distinguished Mayfair hotel, Grosvenor House. Ever since, Orange & Bergamot has been a much-loved, bestselling fragrance for over thirty years, scenting not only hands but also the body and home, and has won several beauty accolades to become Molton Brown’s signature icon. This unmistakeable fragrance is inspired by the bitter orange trees that perfume the vibrant streets and royal courtyards of Seville, bursting with Andalusian sun-drenched notes of fashionable neroli, orange and bergamot. Initially composed by respected co-founder of English fragrance house CPL Aromas, Michael Pickthall, the eau de toilette has been caringly renewed with a contemporary twist by fellow CPL Aromas Master Perfumer Beverley Bayne. The new body luxuries wonderfully uplift your bathing ritual, awakening the spirits in an enduring mist of dancing citrus airs whilst leaving skin with an incandescent glow. Refine and rejuvenate skin with exfoliating Mediterranean bitter orange peel and apricot kernels; infuse your bath with Sevillian neroli oil for a silky-soft touch; massage the nourishing, luminous dry oil onto your body to give a beautifully dewy finish. Distilled into elegant glass bottles, the new oils are a graceful finishing touch to any dressing table or bathroom.